Modal Correspondence Theory, PhD Thesis, 1977. 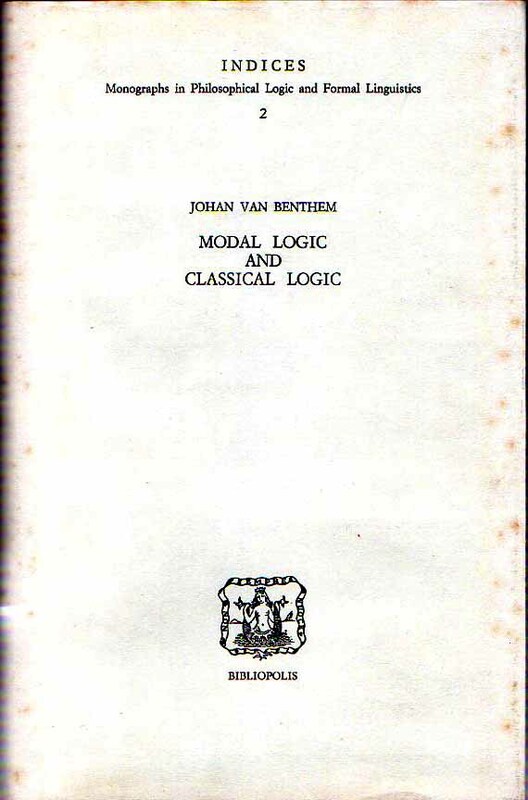 Modal Logic and Classical Logic, Bibliopolis, Napoli, 1985. Correspondence Theory, Handbook of Philosophical Logic, 1984, 167-247. Program Operations that are Safe for Bisimulation, Studia Logica 60:2, 1998, 311-330. Modal Languages and Bounded Fragments of Predicate Logic, Journal of Philosophical Logic 27:3, 1998, 217-274, with Hajnal Andreka & Istvan Nemeti. Information Flow Across Chu Spaces, Bulletin of the IGPL 8:6, 2000, 719-731. Guards, Bounds and Generalized Semantics, Journal of Logic, Language and Information 14, 2005, 263-279. Minimal Predicates, Fixed-Points and Definability, Journal of Symbolic Logic 70:3, 2005, 696-712. Modal Frame Correspondence and Fixed-Points, Studia Logica 83:1, 2006, 133-155. Lindstrom Theorems for Fragments of First-Order Logic, LICS 5:3, 2009, 1-27, with Balder ten Cate & Jouko Vaananen. Sahlqvist Correspondence for Modal Mu-Calculus, Studia Logica 100, 2012, 31-60, with Nick Bezhanishvili & Ian Hodkinson. A Bimodal Perspective on Possibility Semantics, Logic and Computation on-line, 2016, with Nick Bezhanishvili & Wesley Holliday. 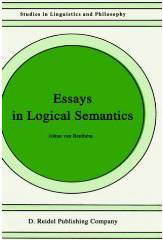 Essays in Logical Semantics, Kluwer, Dordrecht, 1986, generalized quantifier theory. 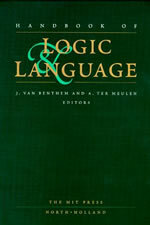 Language in Action, Elsevier, Amsterdam, 1991, and revised version, MIT Press, Cambridge MA, 1995, categorial grammar, lambda calculus, proof theory, and modal logic. Inference in Action, Publications de l'Institut Mathematique, Nouvelle Serie 82 (96), 2008, Beograd, 3-16, substructural logics. Natural Logic, M. Chakraborty et al., eds., 2008, Logic, Navya-Nyaya & Applications, College Publications, London. Natural Language and Logic of Agency, Journal of Logic, Language and Information 23:3, 2014, 367-382. Conditional Probability Meets Update Logic, Journal of Logic, Language and Information 12:4, 2003, 409-421. Dynamic Update with Probabilities, Studia Logica 93, 2009, 67-96, with Jelle Gerbrandy and Barteld Kooi. Dynamic Logic of Preference Upgrade, Journal for Applied Non-Classical Logics 17:2, 2007, 157-182, with Fenrong Liu. 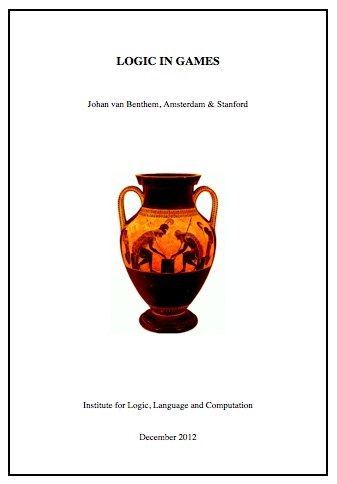 Ceteris Paribus Logic, Journal of Philosophical Logic 38:1, 2008, 83-125 and Philosopher's Annual 2009, Volume 29, with Patrick Girard and Olivier Roy. Temporal Logics for Information Update, Proceedings AiML 2006, with Eric Pacuit. Merging Frameworks for Interaction, Journal of Philosophical Logic 38:5, 2009, 491-526, with Jelle Gerbrandy, Tomohiro Hoshi & Eric Pacuit. Merging Beliefs over Time, Proceedings LOFT 2008,with Cedric Degremont. Inference, Promotion, and the Dynamics of Awareness, Knowledge, Rationality and Action, Synthese 177:1, 2010, 5-27, with Fernando Velazquez-Quesada. The Information in Intuitionistic Logic, Synthese 167:2, 2009, 251-270. Toward a Dynamic Logic of Questions, Journal of Philosophical Logic 41:4, 2012, 633-669, with Stefan Minica. Logic and Information, Handbook of the Philosophy of Information, Elsevier, Amsterdam, 2008, with Maricarmen Martinez. Dynamic Logic of Evidence-Based Beliefs, Studia Logica 99:1, 2011, 61-92, with Eric Pacuit. 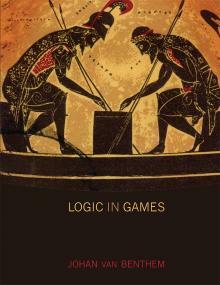 Logic in Games, MIT Press, Cambridge MA, 2014. Games in Dynamic Epistemic Logic, Bulletin of Economic Research 53:4, 2001, 219-248. Extensive Games as Process Models, Journal of Logic, Language and Information, 2001, 289-313. 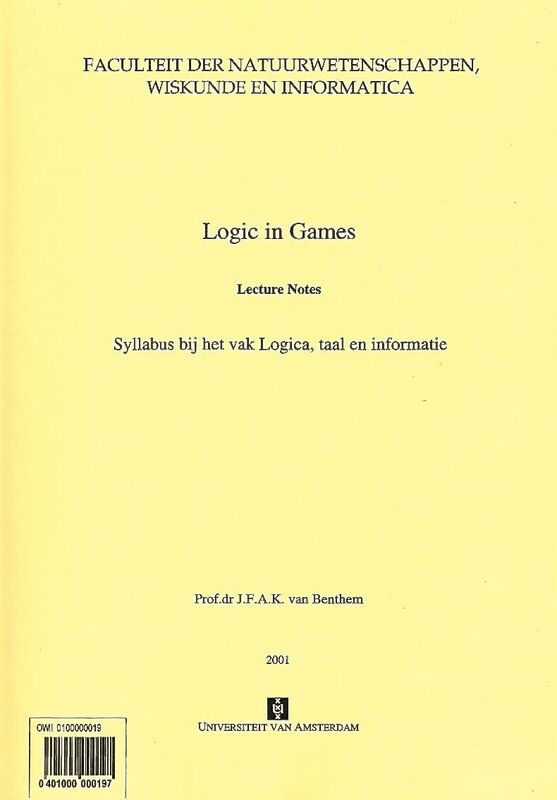 Logic Games are Complete for Game Logics, Studia Logica 75, 2003, 183-203. Decisions, Actions, and Games, A Logical Perspective, Proceedings Third Indian Conference on Logic and Applications ICLA 2009, R. Ramanujam and Sundar Sarukkai, eds., Springer LNAI 5378, 1-22. In Praise of Strategies, reprint with addenda, in J. van Eijck & R. Verbrugge, eds., 2012, Games, Actions, and Social Software, Lecture Notes in Computer Science 7010, Springer, Heidelberg, 96-116. Toward a Theory of Play: A Logical Perspective on Games and Interaction, first version in GAMES 2011 2:1, 52-86, with Eric Pacuit and Olivier Roy. Later version in K. R. Apt ed., Proceedings TARK Groningen 2011, ACM Digital Library, 12-16. Modal Logics of Sabotage Revisited, Journal of Logic and Computation on-line, 2017, with Guillaume Aucher and Davide Grossi. A New Game Equivalence and its Modal Logic, in J. Lang et al., eds., Proceedings TARK 2017, Liverpool, with Nick Bezhanishvili and Sebastian Enqvist. Logic in Philosophy, in Dale Jacquette, ed., 2007, Handbook of the Philosophy of Logic, Elsevier, Amsterdam. What One May Come to Know, Analysis 64: 282, 2004, 95-105. Epistemic Logic and Epistemology, the state of their affairs, Philosophical Studies 128, 2006, 49-76. Interview, in Epistemology: 5 Questions, V. Hendricks & D. Pritchard, eds., Automatic Press, Copenhagen, 39-46. The Logical Study of Science, Synthese 51, 1982, 431-472. The Logic of Empirical Theories Revisited, Synthese 186:3, 775-792. Where is Logic Going, and Should It?, Topoi 25, 2006, 117-122. Interview, in Philosophy of Mathematics: 5 Questions, V. Hendricks & H. Leitgeb, eds., Automatic Press, Copenhagen, 29-43. 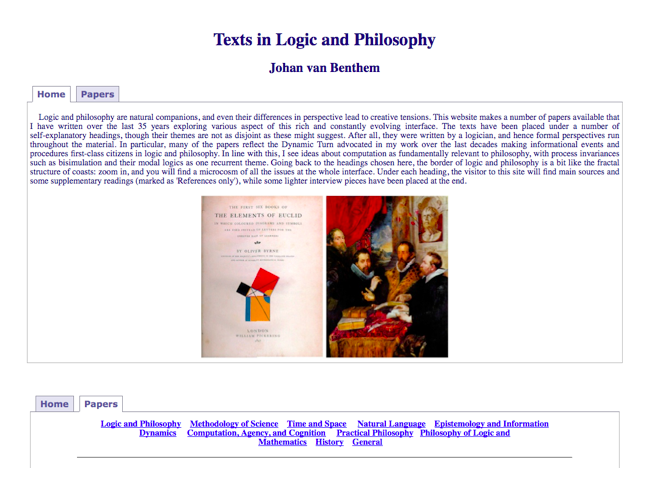 A complete collection of papers is available on this website: key obtainable from johan.vanbenthem@uva.nl. The Logic of Time, Kluwer, Dordrecht, 1983, interval ontology and temporal language. Temporal Logic, D. Gabbay et al., eds., Handbook of Logic and AI, Oxford University Press, 1995, 241-350. A Modal Walk through Space, Journal of Applied Non-Classical Logics 12, 2003, p. 319-363, with Marco Aiello. The Geometry of Knowledge, In J-Y Beziau, A. Costa Leite & A. Facchini, eds., Aspects of Universal Logic, 2004, Centre de Recherches Semiologiques, Universite de Neuchatel, 1-31, with Darko Sarenac. Modal Logics of Space, Handbook of Spatial Logics, Springer, Dordrecht, 2007, 217-298, with Guram Bezhanishvili. Logic and Psychology, editorial, Topoi 26:1, 2007, with Helen and Wilfrid Hodges. Cognition as Interaction. G. Bouma et al., eds., 2007, Symposium on Cognitive Foundations of Interpretation, KNAW, Amsterdam, 2007, 27-38. Four Paradoxes, Journal of Philosophical Logic 7, 1978, 49-72. The Variety of Consequence According to Bolzano, Studia Logica 44:4, 1985, 389-403. Models of Reasoning in Ancient China, Studies in Logic 4:3, 2011, 57-81, with Fenrong Liu & Jeremy Seligman.